Collaboration display solution provider Avocor has partnered with Zoom Video Communications with the aim of providing customers with advanced videoconferencing solutions that work together out of the box. The collaboration kicks off with integration between Avocor and Zoom Rooms for Touch, Zoom’s software-based conference room solution that runs on large touch displays. The first integration of Zoom with Avocor is Zooms Rooms for Touch, an iteration of the Zoom Rooms software-based videoconference room system that runs on large touch displays. An alternative to inflexible legacy hardware room systems, it enables companies to set up DIY conference rooms across their entire organization. Zoom Rooms features wireless content sharing, high-quality video and audio conferencing with up to 500 interactive video participants, and integrations with popular calendaring systems. Because video conferencing involves both local and remote participants, adding an Avocor display enables a large central visual point in each physical room that integrates with the Zoom Rooms for Touch solution. Adding a large interactive display helps with collaboration whiteboarding accuracy as well as viewing detail and seeing non-verbal communication within the entire gallery view of participants. 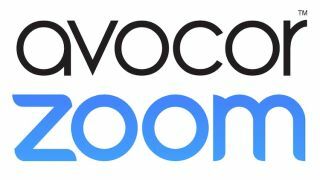 To simplify buying the solution, Avocor will provide bundles with Zoom’s software preinstalled, in various size, performance, and pricing options catered to fit each customer’s need, application, and budget, through their reseller channel and will look to attach other tools from partners that improve the experience. Beyond bundled solutions, Avocor and Zoom are also exploring creating proprietary solutions and applications to provide an advanced experience that integrates the sophistication of each system and enhances them being used together. Avocor plans to display the initial offering with Zoom at ISE 2018 in Amsterdam at booth 13-C110.